The Milwaukee Bucks (36-13 SU, 27-19-3 ATS) are mere percentage points ahead of the Toronto Raptors (37-15 SU, 22-29-1 ATS) for first place in the Eastern Conference. The Bucks go into the meeting with a half-game lead in the East. The Bucks have taken two of the first three matchups against the Raptors, including a win at Toronto on Dec. 9. TV: 8 p.m. 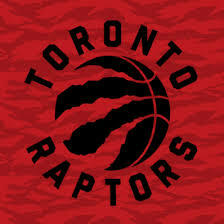 ET, TNT, TSN 1/4/5 (Toronto) LINE: Raptors -2.5; O/U: 232. They may be in a virtual tie in the Eastern standings, but Milwaukee has played the better basketball thus far. The Bucks have a league-best point differential of plus-9.7. That is well ahead of the Raptors, who are fifth overall, at plus-5.4. They also lead Toronto 2-1 SU and ATS in their season series. Milwaukee has superior stats on both offense and defense. Throw in they have a top MVP candidate in Giannis Antetokounmpo, then it is real. The “Greek Freak” is putting up 26.6 points, 12.7 rebounds and 5.8 assists per game. He was named the Eastern Conference Player of the Week on Monday. The Raptors have been scraping by without center Jonas Valanciunas. He’s been out since mid-December with a dislocated thumb. They’re 14-8 SU and 8-14 ATS since Valanciunas went on the shelf. The Bucks are relatively healthy, but Toronto will have a rest advantage in this matchup. They have been idle since Sunday after playing four games in six nights. Milwaukee visited the Detroit Pistons on Tuesday. Milwaukee began its five-game road trip with a loss at Oklahoma City on Sunday. The Deer managed to maintain its record as the lone team in the league without back-to-back setbacks by knocking off the Detroit Pistons 115-105 on Tuesday. Superstar Giannis Antetokounmpo flirted with a triple-double and finished with 21 points, 11 assists and eight rebounds in the victory. The Raptors avoided a third consecutive setback on Sunday. They closed a three-game road trip by edging the Dallas Mavericks 123-120. Now they get two at home before hitting the road again for three more. Toronto is enjoying a 10-game winning streak at home. The streak began after that 104-99 setback against the Bucks on Dec. 9. Even though they have had relatively few injury issues, injuries are getting to the Bucks backcourt. Seldom-used reserve Pat Connaughton is making the most of the opportunity and sprang for 16 points on 7-of-8 shooting in 22 minutes Tuesday. It was a welcome site as he had not gotten off the bench in three of the previous four contests. Connaughton could be a key player again on Thursday with shooting guards Malcolm Brogdon (chest), Sterling Brown (wrist) and Donte DiVincenzo (heel) all day-to-day. C Brook Lopez is averaging 3.4 blocks over the last five contests. Antetokounmpo is averaging 31 points and 18.5 rebounds in two games against Toronto this season. Toronto has its own superstar forward in Kawhi Leonard. He has scored at least 20 points in each of the last 22 games. Leonard, who sat out four straight as part of an injury maintenance program, averaged 32.5 points in two games since his return. He recorded a double-double, with 33 points and 10 rebound,s in Sunday’s triumph at Dallas. Center Serge Ibaka recorded a double-double in the win as well. That was his season-best fourth straight. PG Kyle Lowry is 7-of-23 from the floor over the last two games.